DACC is still providing sheltering at Pierce College Equestrian Center and the Anisafe trailer but both are full to capacity and no longer accepting animals. Large animal sheltering has been opened at Hansen Dam, located at 11127 Orcas Ave, Lake View Terrace, CA 91342 (staffed by DACC). Ventura County has opened sheltering at Ventura County Fairgrounds at 10. W. Harbor Blvd, Ventura, CA 93001. Agoura Animal Care Center has been evacuated and all remaining six Animal Care Centers are accepting small animals. The Los Angeles County Department of Public Health (Public Health) reminds residents to take action to protect themselves from flea-borne typhus by using flea control products on pets and avoiding wild or stray animals. Typhus is endemic in Los Angeles County and, in recent years, the average number of reported cases has doubled to nearly 60 cases per year. In 2018, there have been 63 cases of typhus countywide. This October, during Adopt a Shelter Dog Month, the County of Los Angeles Department of Animal Care and Control (DACC) will be participating in the ASPCA®’s (The American Society for the Prevention of Cruelty to Animals®) national #FindYourFido initiative, a campaign focused on harnessing social media to expand awareness of dogs available for adoption in shelters and help them find safe and loving homes. 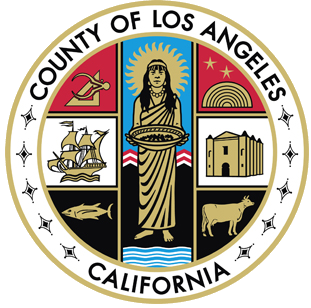 Today the Los Angeles County Board of Supervisors approved an ordinance to limit the keeping of roosters in the unincorporated areas of Los Angeles County. This important action was taken to curtail ongoing problems with illegal cockfighting and associated criminal activities, improve quality of life for residents, and reduce complaints of noise and odor associated with keeping large numbers of roosters.